John Walker Arnot Johnston was born about 1856, son of John Walker Arnot and Annie Johnston. Between 1879 and 1890, he and his wife Frances C Johnston had three sons and a daughter at Petersham, Sydney. John Walker Arnot Johnston died on 7 April 1900 at Petersham, aged 44. After a ceremony at All Saints Church, he was buried in the Old Church of England Cemetery at Rookwood. Note that genealogical details are speculative only and require further research for confirmation. John Walker Arnot Johnston was in Sydney by 1879 when his son Arnot Henry was born. From 1885 he was living at Rohilla, New Cook’s River Road (later 14 Gordon Street), Petersham. 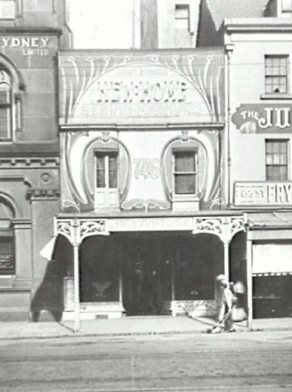 In 1895 JW Johnston & Co were advertising themselves as importers of the ‘New Home’ and other sewing machines and requisites at 746 George Street. He was a Mason and member of the Prince Alfred Lodge No 94. John Walker Arnot Johnston was Alderman for Phillip Ward, 27 December 1894 to February 1898. He was a member of the Fishmarket Inquiry in 1895. Johnston was disqualified as Alderman for being absent without leave.